I have emailed the Annual Report to all members this evening. If you did not receive the report our 2017 Annual Report is now on our website in Library, Annual Reports. At the Annual Meeting at Tongariro Lodge (Graces Road, Turangi) on April 28 at 10.00am we look forward to the presentation by Simon Stewart on his PhD research on the topic Trophic structure of the Lake Taupo food web. This has been a major undertaking by the Advocates in terms of cost and time. It is generally acknowledged that linkages of lower levels of the food chain (particularly zooplankton and smelt) that are important in supporting the trout fishery in this lake are relatively poorly understood. 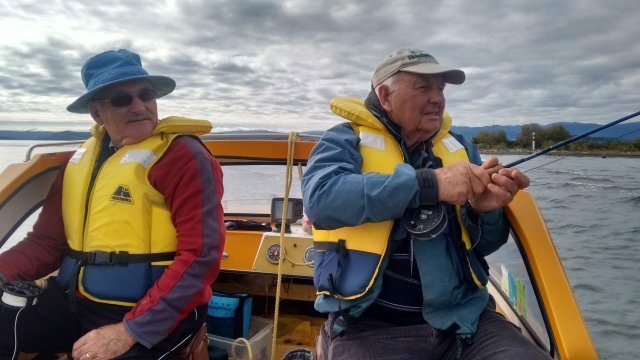 This Ph.D. study is expected to provide a ‘snapshot’ of Lake Taupo’s food web, showing the relative abundance of, and interactions amongst phytoplankton, zooplankton, smelt and trout. 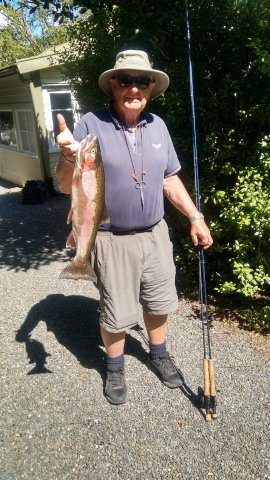 It will provide the major stakeholders, including the regional and district councils, iwi, Department of Conservation, and the Advocates for the Tongariro River with fundamental information to contribute towards better management of the lake and its trout fishery. While the fishery in 2017 was excellent with good fish in abundance the preceding years were poor. This led to our desire to better understand what was happening with the changing fortunes of the fishery. Any downturn has an impact on the Taupo economy as anglers seek better yielding fisheries elsewhere. We are pleased with the support we receive through our membership but we are always looking to increase our current membership and have a target of 250 for 2018. Should you wish to be elected to the committee of the Advocates you must be a current member. If you still have to renew your membership or wish to join, the form to join is on the home site of our website. Meeting with James Lineham, Waikato Regional Council, Taupo zone, River Manager. James met with members of the committee on Friday 16th March 1.00pm. James, new to this area, has taken over from Todd Baldwin who has gone to Contact Energy. We were able to show areas of concern in the Awamate Road area, the river in the area of Kohineheke Reserve and the area of the Hirangi Arm which is a major concern in times of flood. The river flats at the Admirals Pool and the cliff above the Cicada Pool and the Bain Pool, its road and the changes in the area were also visited. There were no promises made from our discussion other than creating an awareness of our concerns. The cover on our Annual Report represents the satisfaction that we experienced in the 2017 year. Good fishing was experienced to December 2017 at which time temperatures warmed up, smelt went deeper and the trout followed. It follows that fishing has been challenging in both the river and on the lake since December. I have fished both the river and Delta and have found the fishing to be hard in both places. Tuesday night in Turangi we had 28.8mm and the river is at 31.6 as I write this. Despite the rain the river at the mouth today was fishable and I had success. Our President Gary Brown, had good fishing at the Delta on Sunday landing 3 fish and a good 5lb fish on Tuesday. The Delta still has a number of recovering fish but amongst them are some quality fish. The river is in early days for spawning runs but again there is the occasional quality fish being caught. Brown Trout enthusiasts are having success in the lower river and the whole river has Brown Trout making their way upstream to spawn. Slot limits considered at Otamangakau. Fish able to be taken to be between size so that small fish and larger fish are not to be taken. The Fishery team is finally fully recruited for its full-time staff, with the recent hiring of Alfonso Siciliano, Lee Wellington and James Barnett. Alfonso replaces Thomas Simmonds, as the Senior Ranger. He is finalising his PhD In Aquatic Ecology and brings with him a diverse set of skills including a great deal of diving experience. Lee Wellington was recruited to replace Harry Hamilton as an Operations ranger. Harry passed away last year after many years with the fishery. Lee has worked with RAL and the rafting industry and brings with him strong skill set in water safety, practical, high risk environmental assessment, accident/incident control and customer service. James Barnett has joined the team as a Community ranger, and has extensive experience and background in communication, digital and web design, community engagement, and is a very passionate angler as well. Changing attitude by some non anglers towards fishing which is now being seen as blood sport. Stab vests issued to rangers for night time. An unfortunate state of affairs. Legally, guides have to be licensed. Prosecutions reported mainly fishing without a license but other offences included fishing in closed water, spin fishing in fly fishing only water, fishing with treble hook, using unauthorised bait, fishing outside the 5am to midnight limit. Otamangakau camping is on Crown Land but access is over Maori land. DOC to resolve. James Lineham spoke re Annual Works Tongariro and Tauranga Taupo River Management Plans. Grace Road to be resurfaced awaiting contractors. TFAC serves a valuable purpose. Hydro Pool Planting Project and other Environment issues. Project Tongariro advise that Friday, April 20th is scheduled as planting Day for the Hydro Pool area. 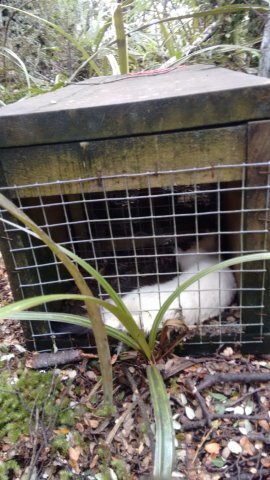 The major role of the Advocates was the purchase of the plants raised at Tongariro Prison. It would be good if we could have some members present to assist in the planting. Many hands make light work. I do accept that most members have jobs and the difficulty of having time off. The area has been well prepared. From our committee meeting last weekend we have undertaken to free small plants to enable stronger growth and to seek a solution to the strangling effect of convolvulus which engulfs the river margins in Autumn. Our area will be that in which we have been involved in planting. 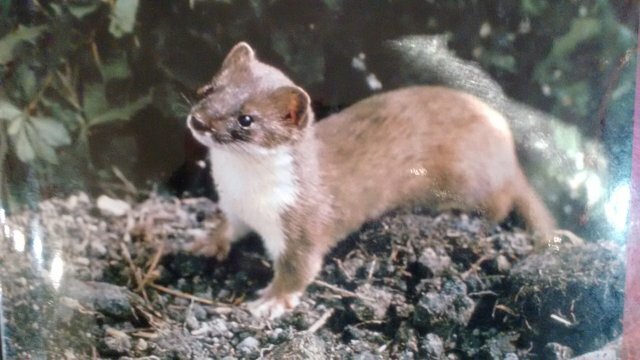 During the week I observed a stoat passing through my property. With the increased numbers of rabbits, stoats have grown in numbers. 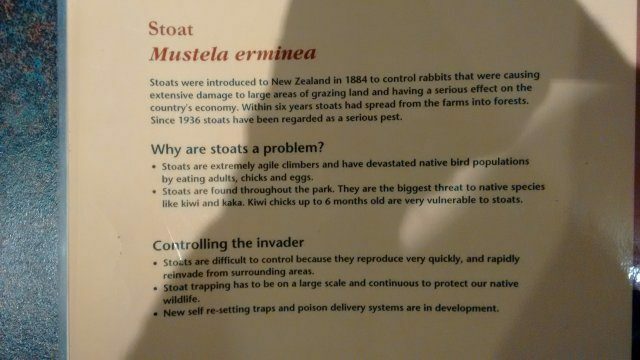 Last year we took the grandchildren to the DOC visitor center at Whakapapa where they have excellent displays. 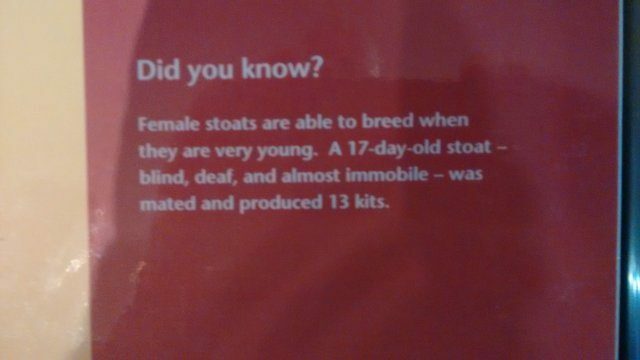 The cute looking Stoat is a killer of native fauna and has a formidable breeding ability.